I am linking up with Thursday 13, and placing a Mr. Linky below since the T13 site is inactive right now. If you're new to Thursday Thirteen, you can find out more here. 1. Glædelig Jul...Denmark. 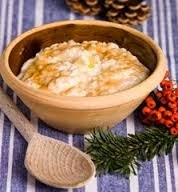 Most families eat a special kind of rice pudding on Christmas. It has almonds in it. All the almonds are chopped into pieces except one. Whoever find the whole almond in his pudding gets a special "almond present' which is often a marzipan pig. 2. Buone Feste Natalizie. Italy The Nativity Scene is important in celebrating Christmas. 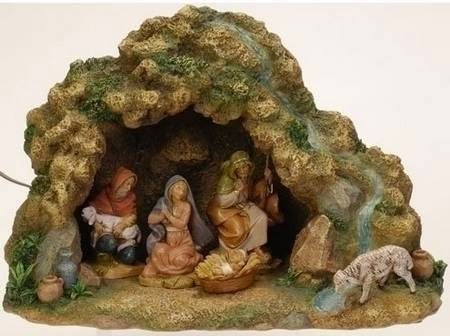 St. Francis of Assisi made popular the use of the crib in a Nativity Scene. 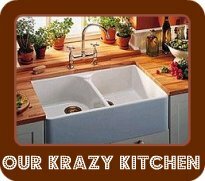 Having cribs in the home became commonplace in the 16th century. Before that, cribs were only found in churches and monasteries. Baby Jesus is placed in the crib on the night of December 24th. 3. Feliz Natal Brazil Christmas plays called Los Pastores, which means The Shepherds, are popular. Sometimes the plays include a woman who tries to steal the baby Jesus. 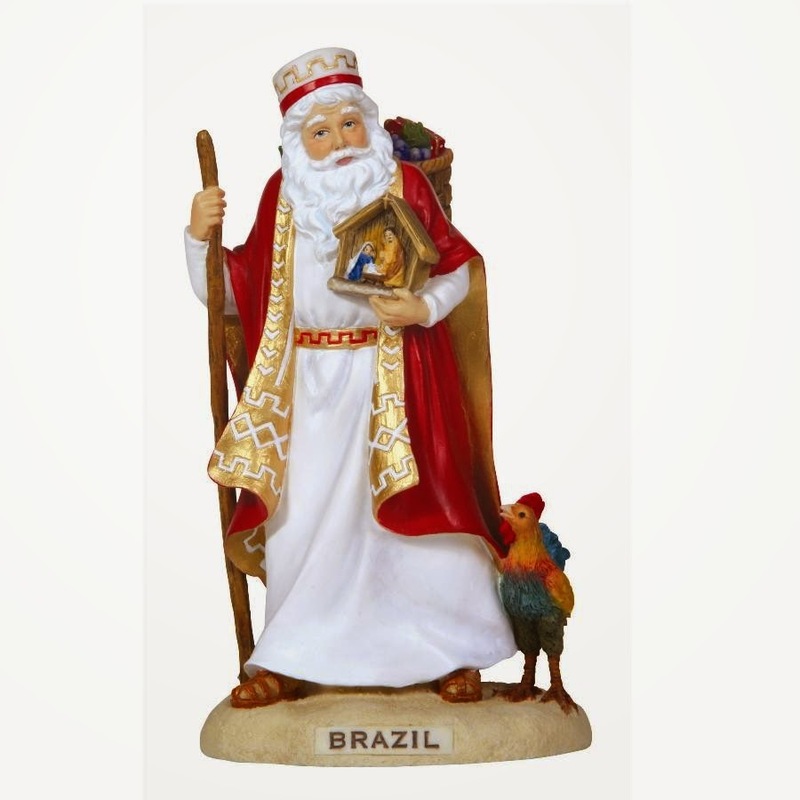 Papai Noel and Bom Velhinho might leave gifts if your sock is placed by a window. 4. Hyvaa joulua Finland Father Christmas lives in the northern part of Finland, and there is a theme park called Christmas Land that is visited by people from all over the world. 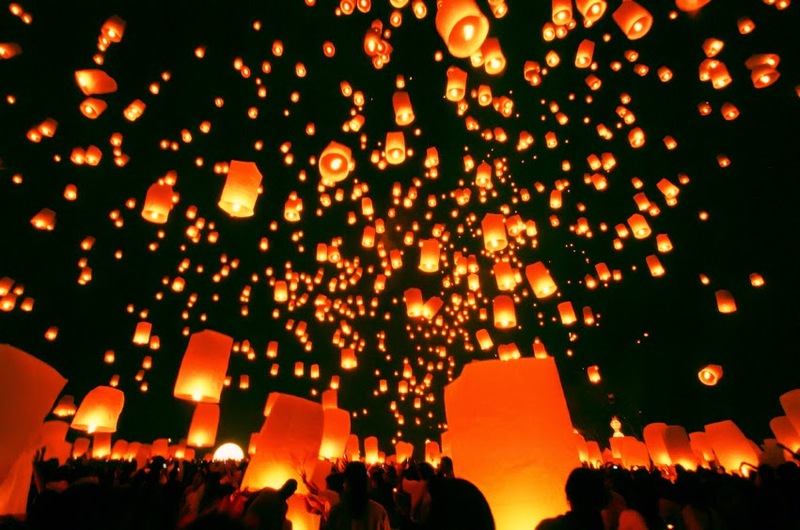 It is a modern tradition to visit cemeteries at night (it gets dark early) to visit the graves of family members who leave candle-lit lanterns there. The lanterns shine in the snow creating a winter wonderland. 5. Joyeux Noel France The French use clay figures in their Nativity scenes instead of wooden ones. They burn Yule logs made from cherry wood and sprinkled with wine. Santa Claus is called Pere Noel (Father Christmas). 6. Kala Christouyenna Greece Christmas trees are not traditional in Greece. On Christmas Eve, children go caroling. They often take model boats with them, which is a very old custom of the Greek Isles. If the carolers sing well, they are often given money or nuts, sweet, or figs to eat. 7. Feliz Navidad Mexico Christmas is celebrated from December 12 to January 6th. 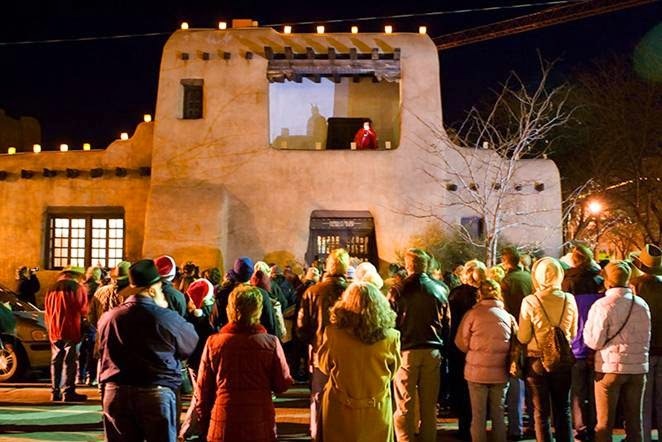 One tradition is called the Posada in which children go from house to house asking for lodging until they are finally told that, yes, there is lodging here. They enter the home, give thanks, then have a party with food, games, and fireworks. Christmas Eve mass is known as Misa de Gallo (Mass of the Rooster). Christmas Day often includes fireworks. 8. Feliz Navidad Argentina The Christmas season is warm in Argentina. Christmas trees are a popular decoration. People often put cotton balls on the tree to represent snow. 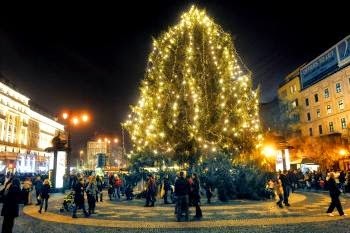 Any type of tree can be a Christmas tree, not just a fir. On Christmas Eve, they have paper decorations with a light inside that are similar to Chinese lanterns. 9. Vesele Vianoce Slovakia Baby Jesus brings the presents for Christmas in Slovakia. The children must leave the room so Baby Jesus can bring gifts, and when the gifts are there, a bell is rung. The children run to the Christmas tree trying to catch a glimpse of Baby Jesus, but they always narrowly miss seeing Him. The traditional Christmas meal is carp. 10. 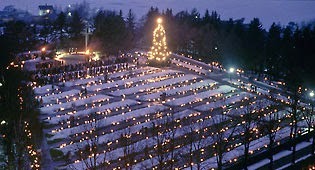 Gledileg Jol Iceland The Yule tree is decorated on December 23. Celebrations usually begin at 6PM on Yule Eve with children opening presents and a meal of roast lamb. They also make leaf bread which is thin sheets of dough cut into delicate designs and fried. 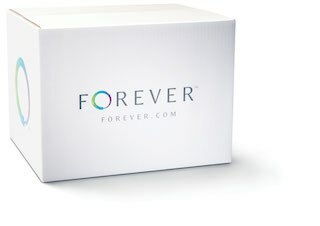 Each family might have their own design. 11. Meri Kirihimete New Zealand Christmas comes in the middle of the summer holiday in New Zealand. They open their presents on Christmas Day followed by a lunch of ham, venison, shrimp, and/or fish. 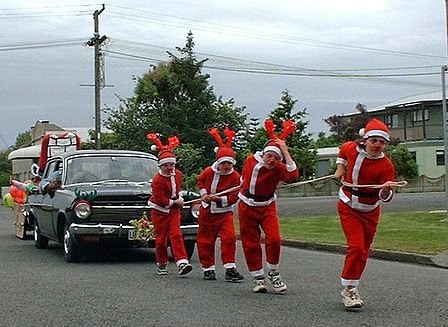 Many towns have Santa parades beginning in November and throughout the holiday season. 12. 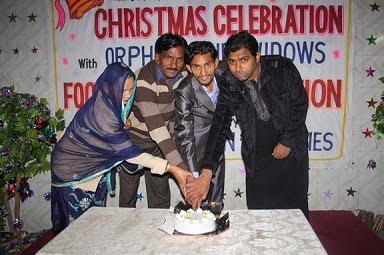 Bara Din Mubarrak Ho Pakistan There is a small number of Christians in Pakistan, but December 25 is a public holiday in honor of the founder of Pakistan, Jinnah. Christians celebrate by decorating, singing carols, and exchanging Christmas cakes. Santa Claus is known as "Christmas Baba." 13. Zalig Kerstfeast The Netherlands December 5 is the most important day for children in The Netherlands since that is when Sinterklaas brings presents. 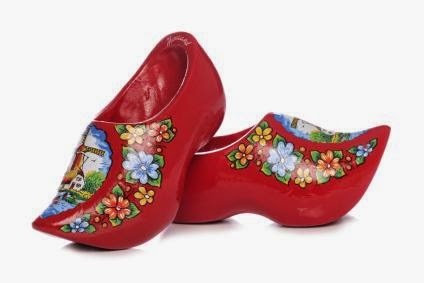 Children leave their clogs by the fireplace or by a window in hopes they will receive a present. Christmas Day is a quieter holiday with families attending church and having a family meal. But in some areas, they also receive presents from Kerstman (Christmas Man, not to be confused with Sinterklaas). Please join in by linking up a Thursday Thirteen post below! And Merry Christmas! A very informative T13. I would not want to be the person who gets the pig for Christmas, though that is probably very important in that country. So many traditions and languages around the world all getting in on the merriment.